Kim Thurlow's Portfolio of Queensland Railways Pictures. 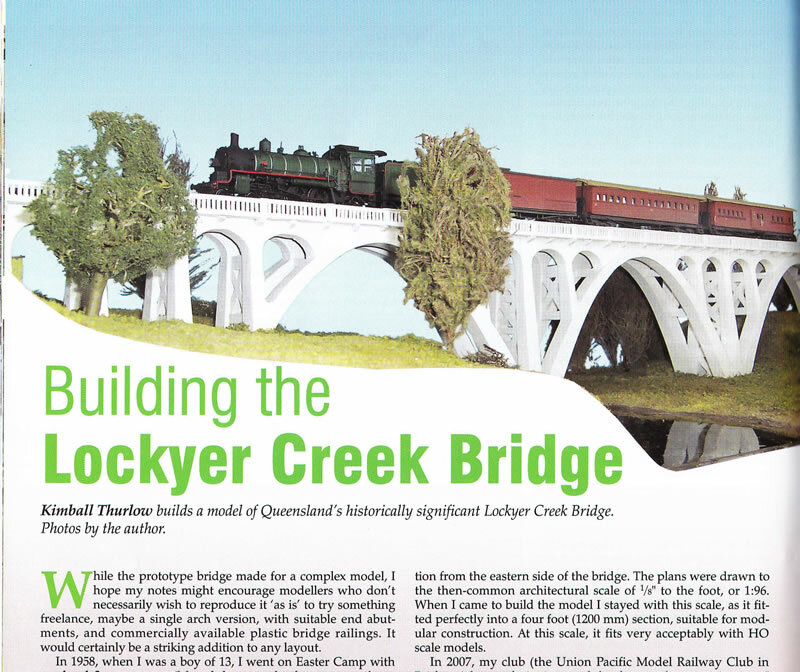 An article on the construction of the model bridge, features in the Australian Model Railway Magazine for April 2011. If you are having trouble finding it, you can purchase a copy of the latest issue direct from: www.australianmodelrailways.com and it will be posted out to you. This includes overseas addresses. The plan below is an excerpt from the bridge plans as drawn especially for AMRM, from the original engineering drawings. I scanned part of the drawing to give you an indication of its quality. In all, there are 3 complete pages of plans for anyone wishing to build a complete or part model of this, or similar structure. For copyright reasons, I am unable to show the full plans on this website.